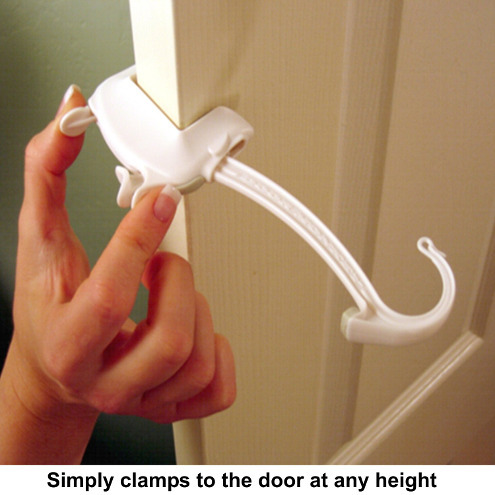 This Door Monkey Door Lock and Pinch Guard will set up in mere seconds without tools tape or equipment. 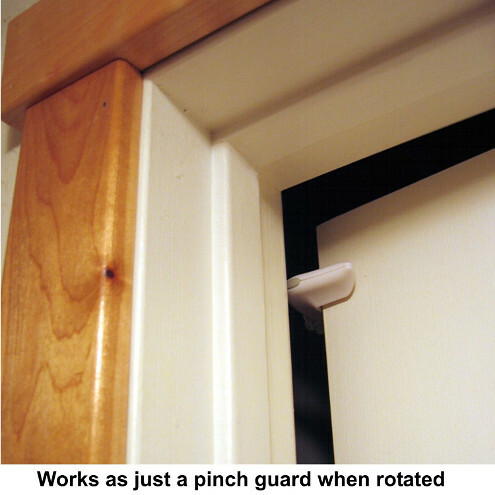 Works together with just about all types of door knobs and lever handles, and works as a pinch guard. 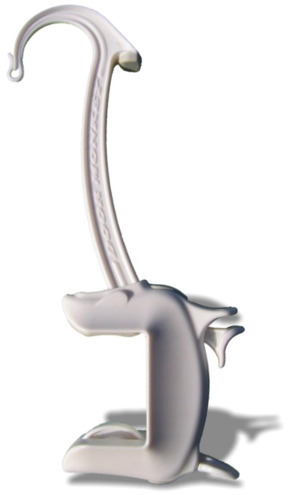 Ideal for little fingers, this Door Monkey Door Local and Pinch Guard functions from either side of the door, which enables it to mount at virtually any height for added convenience. A perfect choice for protective baby-proofing gear for your home.